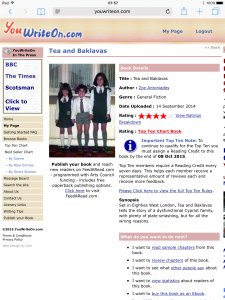 I was really pleased to see that my extract made it to the Top Ten this morning. I have previously been in the top twenty, but recent revisions have meant that people are enjoying the writing even more, which just goes to show that time and effort spent on the endless re-drafting process is time well spent. 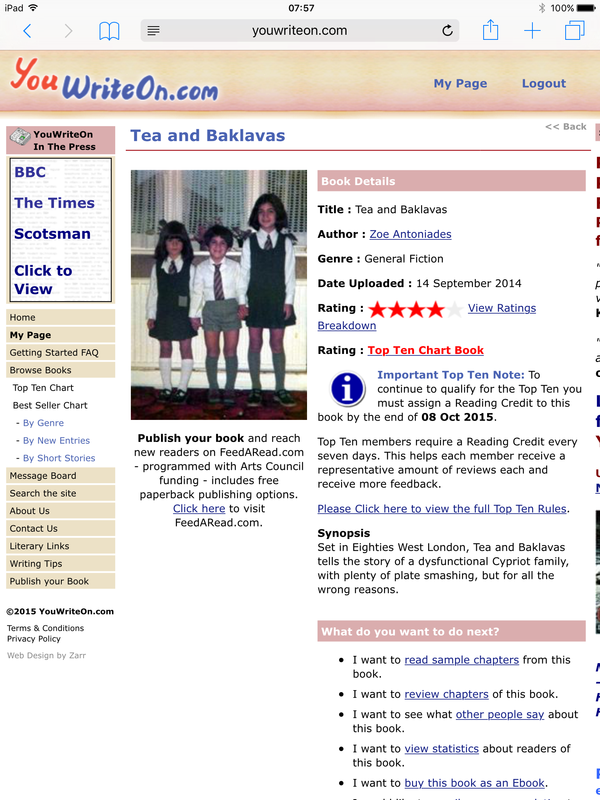 The opening pages to Tea and Baklavas are published online at youwriteon.com. Writers are given the opportunity to critique one another’s work and give scores which are converted into a star rating. The extracts are then ranked accordingly. I think it’s great how the growth of social media and networking sites such as these enable writers to have wider platform for their work.